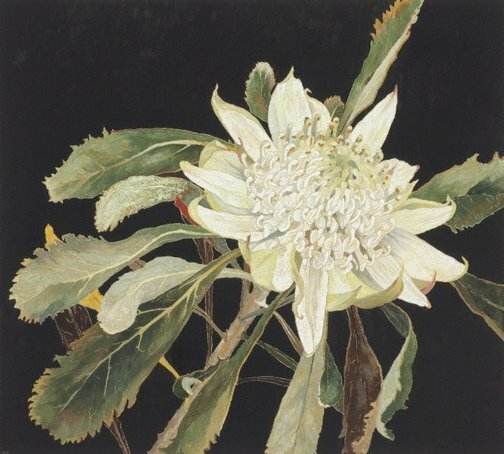 The woodblock was made at the artist's Avalon studio, its subject inspired by a white waratah flower given to her by Leo Schofield. One impression only was taken from the block, as is Campbell's usual practice. It was exhibited at the Philip Bacon Galleries, Brisbane in 2000.